Oh yes, you heard me - carrots in cookies. 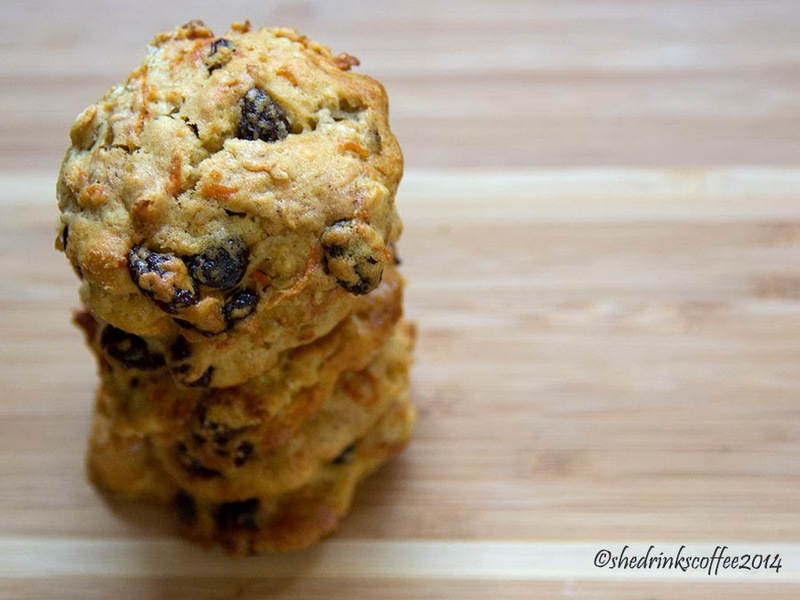 Delicious and fluffy Carrot Cake Cookies. 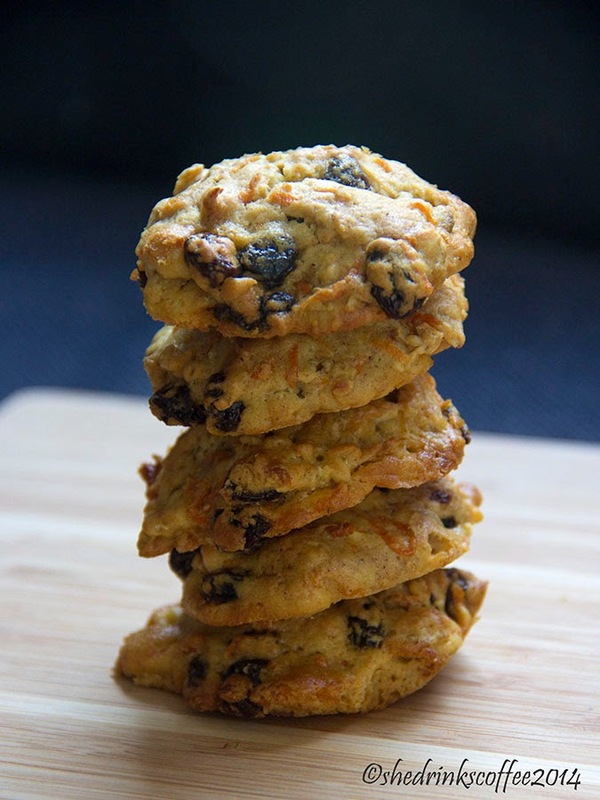 Seriously, these are totally the cookie incarnation of carrot cake. 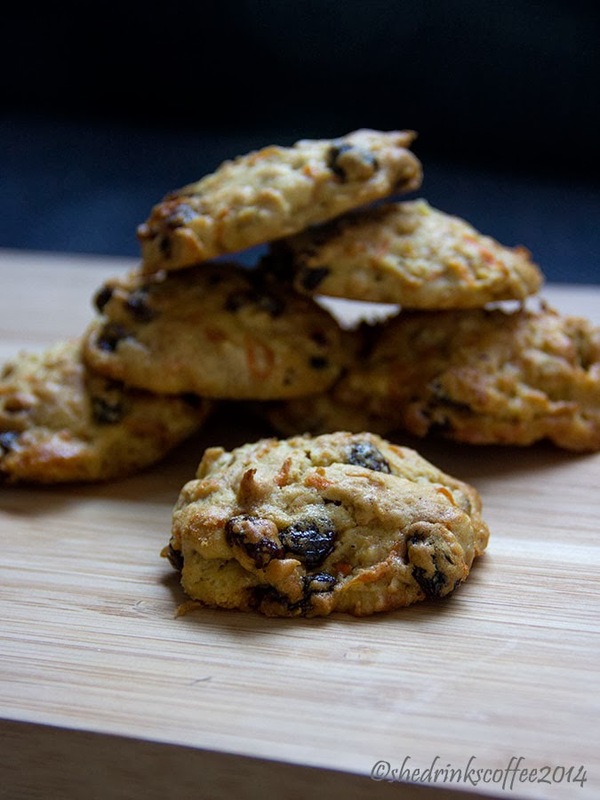 The carrots lend an excellent cake-like consistency to these cookies, as well as a natural sweetness so you won't need nearly as much sugar as you would for other oatmeal raisin type cookies! Preheat your oven to 170C/340F. 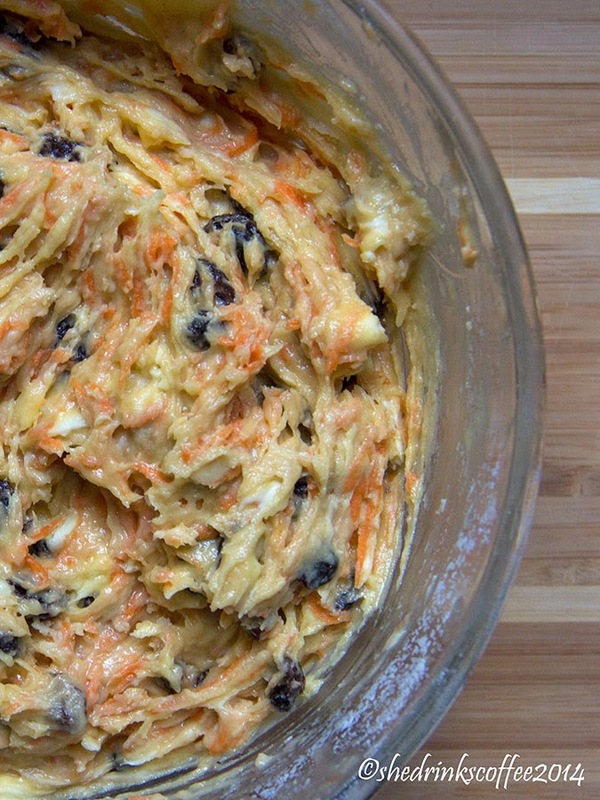 Prepare the 200g of grated carrots. 2-3 large carrots should cover it. In a large mixing bowl, combine the eggs, sugar, butter, and vanilla extract. Once thoroughly blended - no butter lumps! 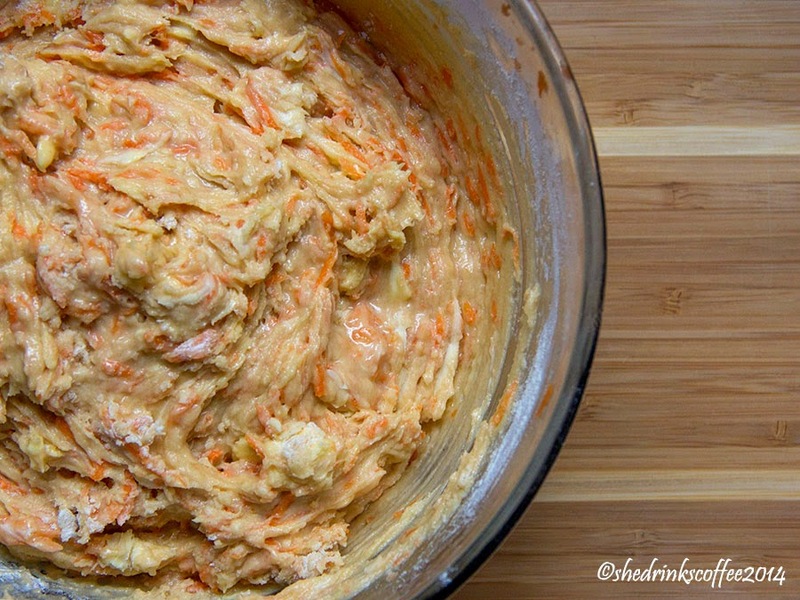 - add in the grated carrots. Mix the flour, baking soda, salt, cinnamon, and ginger together in a separate bowl. Gradually add this to the wet mixture, stirring as you go. Next gradually stir in the oats. Finally, fold in the raisins and, if you want to include them, the walnuts. Line a baking sheet with parchment paper. Then use a spoon to scoop rounded heaps of cookie dough, spaced evenly (leave at least an inch between each mound of dough), onto the baking sheet. Pop into the oven and bake for about 10 minutes, or until the cookies turn lightly golden brown on the top. Allow the cookies to cool for 2 minutes before removing from the baking sheet. And enjoy! Eating your veggies with your cookies - sounds like a win to me, don't you agree? If you want slightly fancier cookies, these are excellent (and slightly sweeter) with a dollop of cream cheese frosting on top too!